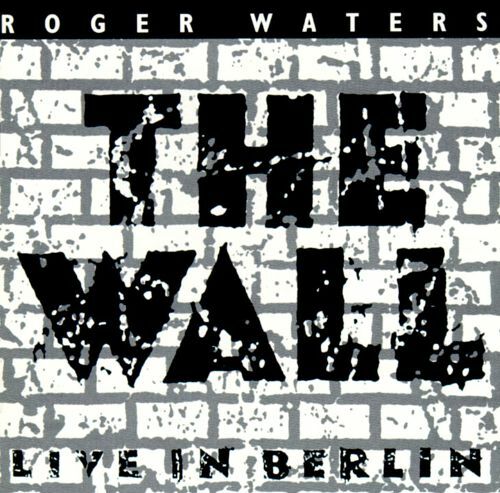 With such a hodgepodge of guest artists—acts as varied as Sinead O’Connor and the Scorpions, Bryan Adams and James Galway—it seemed quite likely that Roger Waters’s new live recording of The Wall would turn out as a disjointed, hit-and-miss project. But despite the wide variety of people taking part, the album comes off as a uniform, consistently gratifying piece of pop history—and testimony to the seamless grace of Waters’ intense masterwork of ‘79. Recorded last July before 150,000 fans at the Berlin Wall, the new album features Waters as lead vocalist on the majority of tunes, but he gets some high-class help from the likes of Joni Mitchell (“Goodbye Blue Sky”), Paul Carrack (“Hey You”), Van Morrison (“Comfortably Numb”), and Sinead O’Connor (“Mother”). Local hero Adams does a commendable job harmonizing with Rogers on “Empty Spaces” before taking over on his own for “Young Lust”. Even Cyndi Lauper corrals her little-girl giddiness enough to satisfy on “Another Brick In the Wall (Part 2)”. Waters’ core band is unbeatable during The Wall’s 90-minute running time. Drummer Graham Broad is a stalwart timekeeper, and main keyboardist Peter Wood makes magic when called on to draw from his arsenal of sounds. Fans of kinetic rock licks will revel in the frequent lead guitar bursts by Rick Di Fonzo and former Thin Lizzy member Snowy White. As if the music here weren’t enough of an incentive, charitable record buyers can appreciate the fact that they’re helping out the Memorial Fund for Disaster Relief, the recipient of all the contributing artists’ royalties.